GO CEO Nikhil Patil speaks to Anthony Manduca about the company’s way forward and his vision for the future. Nikhil Patil’s vision for GO is to deliver an “unmatched, multi-play experience for its valued customers”. 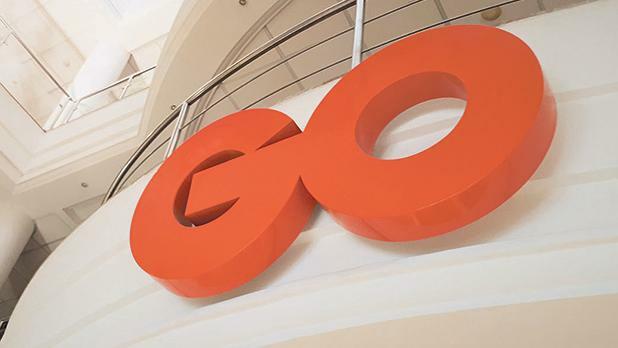 The telecoms company CEO says GO wants “to be the enabler of the digital era”. Mr Patil says GO’s products also embody this vision with 100Mbps broadband connections and up to 60GB of mobile data all in the space of a couple of weeks, totally simplifying the product portfolio. Continued revenue growth, he says, is essential for the telecoms industry to be able to sustain heavy investment in new and future technologies. “With the commoditisation of telecom services, revenue growth is becoming more challenging, also because of increasing competition from OTT services that enjoy far more flexible regulatory and taxation conditions,” he points out. In a scenario where growth in telcos’ core business is under pressure, Mr Patil says the industry has to find new ways of monetising its huge investments and to deliver returns on very large future investments in areas such as 5G. Regarding GO’s opposition to the proposed merger between Melita and Vodafone, he says GO was just one of many voices expressing opposition to this. 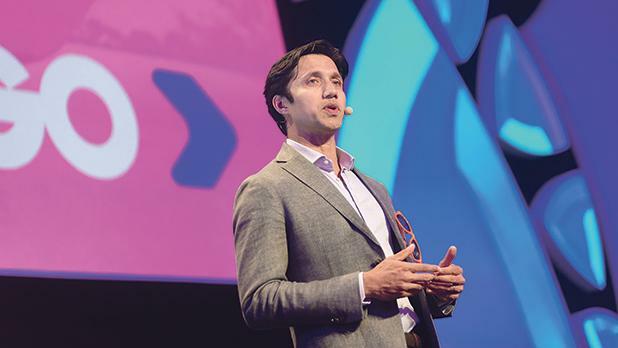 Asked if he was worried about the encroachment of OTT competitors such as VOIP, OTT Television, Facebook and WhatsApp, he says that throughout its history GO has faced many challenges and yet it has continued to thrive. Technology, he says, is “our bread and butter” and GO has always embraced these technologies by trying to find ways to work alongside them rather than against them. Regarding plans for the company’s growth he says “FTTH roll-out” (the installation and use of optical fibre from a central point directly to individual buildings) is certainly high on GO’s agenda. It essential to remain innovative when seeking other revenue streams if GO is to continue on its successful growth path. He also points out that it is essential to remain innovative when seeking other revenue streams if GO is to continue on its successful growth path. He stresses that the company always found ways of growing its business. Back in 2006, it acquired TV, now a core part of its service offerings. In 2009 it acquired BMIT, followed by Cablenet, a cable company based in Cyprus, in 2014. Kinetix was then acquired in 2015. The CEO says GO has a good track record of investing in start-ups and scaling them into large players. A prime example of this is BMIT, which GO grew, and which is now being listed through an IPO. Asked what improvements in GO’s networks should customers expect over the coming months, he recalls “one of the greatest milestones” achieved this year vis-à-vis their networks, saying GO reached “an unprecedented agreement which allows another operator to use GO’s fibre network to offer broadband services to its customers”. He says this is the ultimate testimony to the power and capabilities of GO’s network and disposition to act as enablers of business opportunities. “Networks need to be maintained, so it goes without saying that we shall continue to invest in this regard to ensure that we can continue to deliver cutting-edge technology to our customers and helping them stay connected to the services and content they love, at great speeds,” he points out. He says that besides the plans for the roll-out of fibre, the improvements in the networks are also reflected in the products recently launched, where GO is providing far greater broadband speeds, increased mobile data allowances and overall greater value to customers. GO’s CEO says that when it comes to customers’ experience no differentiation is made between residential and busi-ness customers. “Each and every customer is a valued customer and just as we have put in every effort to simplify and improve our residential product portfolio, over the past months we have revisited our business products and revamped these to increase the bundle offering and its value to our business clients. “We expect more service bundling and further rationalisation of the product portfolio in the coming months. One major change is related to our roaming model. We want our customers to be able to use our services whenever they need them, wherever they are, without any hindrance or cost concerns. We are looking at an interesting concept that will totally transform the way business and their employees work and collaborate but, enough said on this. Time will reveal all,” he says, without giving more details. Mr Patil is “absolutely” satisfied with the company’s results for 2018, saying it has been eight exciting months since he took this position. “We have reached our targets, even exceeded some. But perhaps a bigger source of satisfaction lies in the way my team comes together and really drives forward to achieve the targets we are after. At GO, our work is a collective effort.